The crab's served with a side of tie dye at Joe's Crab Shack. This family-friendly and lively spot features crustaceans cooked to order in a variety of different ways. 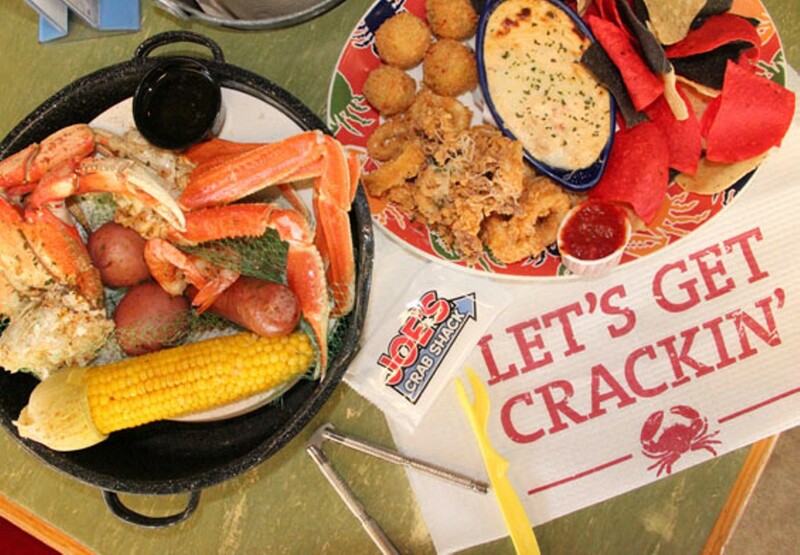 In addition to appetizers, salads and some land-based entrées, Joe's menu lives up to the restaurant's name, with buckets of crab and sizzling steam pots with mixes of seafood. Buckets come with your choice of crab: snow, Dungeness, king or a combination of all, with roasted new potatoes and an ear of corn. 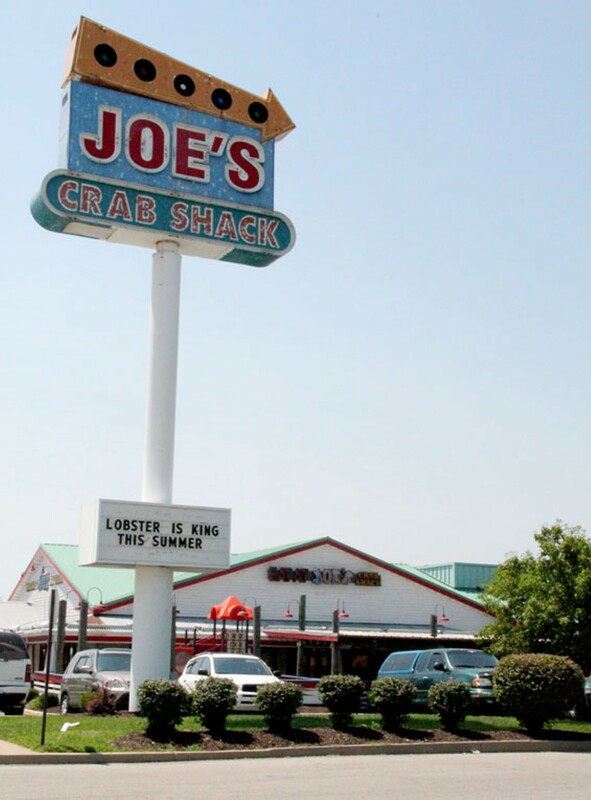 Joe's steam pots bring in some flavor from around the country, including the Orleans with a pound of crayfish, shrimp and andouille sausage served hot and spicy, or the "Bean Town bake" with two whole lobsters, clams, shrimp and smoked sausage, all served with corn and potatoes. Other menu items include beer-battered fish and chips, a twelve-ounce. rib-eye steak and crab nachos with a pile of tortilla chips topped with crab, pico de gallo, cheese and black-bean relish. 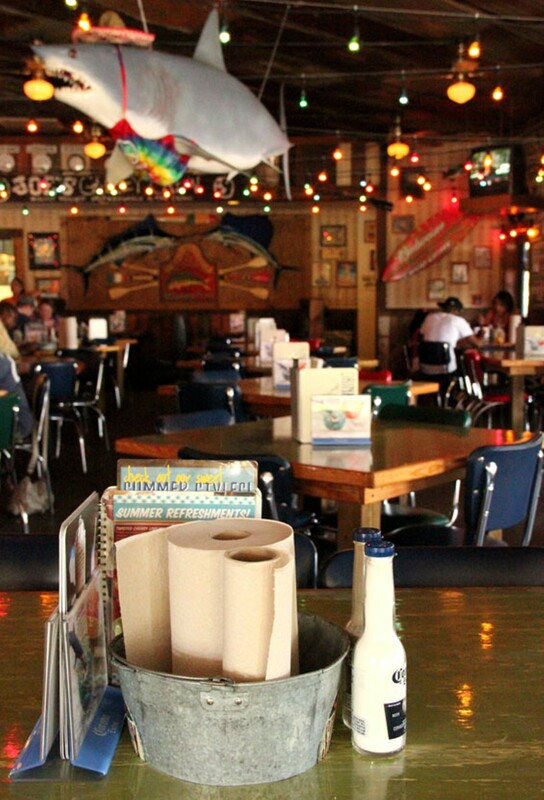 The crab shack also sells some of the clothes and kitschy items found around the restaurant.